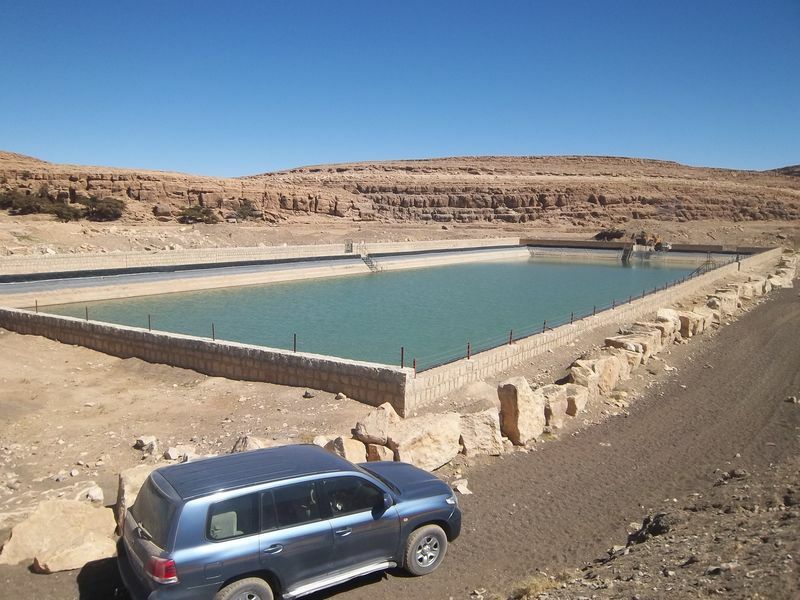 Due to its mountainous location, the only source of water is the rainwater harvesting tanks. Decades ago, the village members constructed 22 open rooftop rainwater harvesting tanks to cover their need of water during the rainy season, albeit the tanks are open and subject to contamination. However, the tanks' capacity isn't enough; consequently, women, children and animals from the villages spent most of their days traveling to remote valleys in order to fetch water. The roundtrip takes about 3 hours, and is not without risk. In response, the SFD evaluated the needs of the area and offered several solutions to the community members. The community opted to build 54 private rooftop rainwater tanks at a total capacity of 3,400 m3. The project was implemented as a partnership between the beneficiary community and the SFD, with the latter providing cement, steel reinforcement and pipes and the beneficiaries (including women) contributing labor, locally available materials and implementing the work under the supervision of SFD's consultants.